I know this, because I too have been criticized for my involvement in the representation of such celebrities as Michael Jackson, charged with sexually molesting minors, and Scott Peterson, charged with first-degree murder. But I also know that the work criminal defense attorneys do, advocating for unpopular defendants, is the cornerstone of our justice system. The right of a criminal defendant to counsel and effective representation is one of our most sacred constitutional rights. Equally important is the right to counsel of one's choice. As we digest the latest celebrity crime news, we must remember that our legal system, the best in the world, presumes innocence. Criminal cases are not only about guilt or innocence. 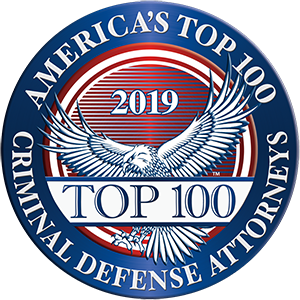 Criminal defense attorneys play a key role in presenting mitigating factors while negotiating settlements or facing sentencing. Our justice system isn't about mob justice; it's about the constitutional right of every defendant to a vigorous representation through an attorney of his or her choice. Telling a defense attorney not to represent a guilty party is like telling a doctor not to treat a terminal patient. Every defendant deserves a fair trial and sentence, just as victims deserve justice. It is my job as a defense attorney to do everything possible for my clients regardless of their guilt or innocence or popular opinion.